Not many of us these days have a lot of room for a thriving veg patch as well as beautiful flower borders. But if you’re really keen on growing a wide range of veg without taking up too much ground space, you can always get growing on the patio. It’s amazing the amount of produce you can harvest from containers, and in many cases it’s better for the plants to be grown this way – good quality, crumbly soil with a long root run and all the right watering and feeding is far better sometimes than the hazards of the open ground. 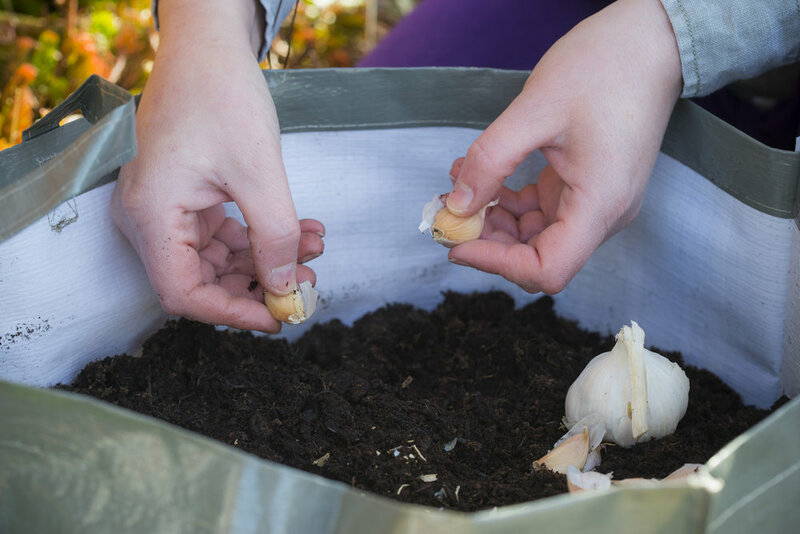 There are lots of specific kits out there at the moment with growbags, compost mixes and all the vegetable material you need to make it easy for you to make yourself a mini potted allotment, but you can also do it yourself with old potato growbags and large pots. As long as you emulate the conditions the plants need in the open ground, and are mindful that containers need more watering and feeding than ground-grown plants, then it’s an easy, fun job for a summer of tasty food!